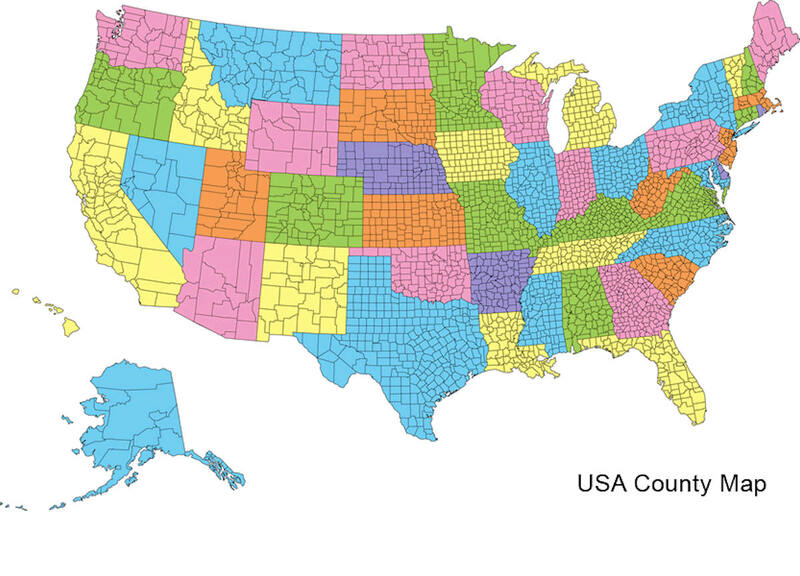 There are one hundred and two counties in Illinois. 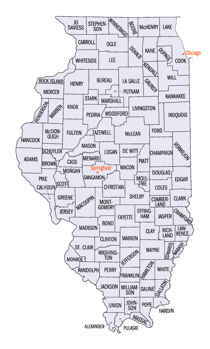 St. Clair County was the first county established in what is today Illinois. Most counties in Illinois were named after early American leaders, especially of the American Revolutionary War, as well as soldiers from the Battle of Tippecanoe and the War of 1812. Grundy County is a county located in the state of Illinois. According to the 2010 census, it has a population of 50,063. Grundy County was created on February 17, 1841. The county seat is Morris. The county is named for Felix Grundy (1777-1840), Tennessean senator that served as the thirteenth United States Attorney General. 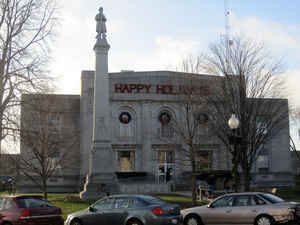 Grundy County is part of the Chicago-Naperville-Elgin, IL-IN-WI Metropolitan Statistical Area. The county is named for Felix Grundy, United States Senator from Tennessee and US Attorney General. Grundy County was created on February 17, 1841 (Laws, 1841, p. 74) and was formed from La Salle County. Present area, or parts of it, formerly included in: LaSalle County (1831-1841), [Southeastern Part: Vermilion County (1826-1831), Edgar County (1823-1826), Clark County (1819-1823)], Southwestern Part: [Tazewell County (1827-1831), Fayette County (1821-1826)], [North of Illinois River: Putnam County (1825-1831), Fulton County (1823-1825), Pike County (1821-1823)], Clark County (1819-1823), Crawford County (1816-1819), Edwards County (1815-1816), Madison County (1812-1815), St. Clair County (1801-1812) and Knox, Northwest Territory (1790-1801). Illinois's State Fossil, the unique and bizarre Tully Monster, was first found in Mazon Creek. Grundy County Speedway is located in Morris. Grundy County is also home to Dresden Generating Station- the first privately financed nuclear power plant built in the United States- and the Morris Operation- the only de facto high-level radioactive waste storage site in the United States. GRUNDY COUNTY - Situated in the northeastern quarter of the State, having an area of 440 square miles and a population in 1900 of 24,136. 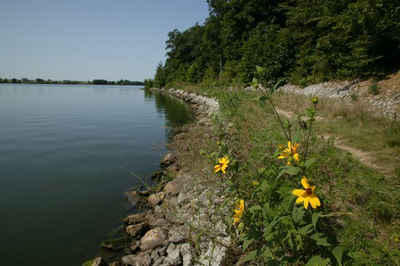 The surface is mainly rolling prairie, beneath which is a continuous coal seam, three feet thick. Building stone is abundant (particularly near Morris), and there are considerable beds of potter's clay. The county is crossed by the Illinois River and the Illinois & Michigan Canal, also by the Rock Island and the Chicago & Alton Railways. The chief occupation of the people is agriculture, although there are several manufacturing establishments. The first white settler of whom any record has been preserved, was William Marquis, who arrived at the mouth of the Mazon in a "prairie schooner" in 1828. Other pioneers were Colonel Sayers, W.A. Holloway, Alexander K. Owen, John Taylor, James McCartney and Joab Chappell. The first public land sale was made in 1835, and, in 1841, the county was organized out of a part of La Salle, and named after Felix Grundy, the eminent Tennesseean. The first poll book showed 148 voters. Morris was chosen the county-seat and has so remained. Its present population 3,653 (1901). Another prosperous town is Gardner, with 1,100 inhabitants. As reported by the Census Bureau, the county has a total area of 430 square miles (1,115 km2), of which, 420 square miles (1,088 km2) of it is land and 11 square miles (27 km2) of it (2.44%) is water. Grundy county is located in northeast Illinois. Goose Lake Prairie State Natural Area and Heidecke Lake State Fish & Wildlife Area and Mazonia/Braidwood State Fish and Wildlife Area are located in this county.